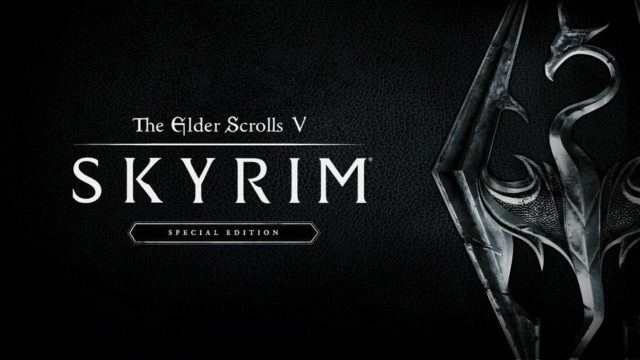 Digital Foundry has posted its analysis of the PlayStation 4 Pro version of The Elder Scrolls V: Skyrim's new remastered version, the Special Edition. While the game benefits from a higher resolution (native 4K), it looks like the frame rate takes a small hit as a result of the increased visual fidelity. According to Digital Foundry, scenes that use "alpha-heavy effects" can lead to frame rate dips, where it falls below the 30 FPS target. "In like-for-like situations, the PS4 Pro game sees a 2-3 FPS deficit, resulting in more noticeable stutter compared to the title running on the standard PS4 console," the site reported. "The base PS4 performance isn't impacted to the same degree, with only a few 1-3 FPS drops cropping up on occasion across a general run of play." What this amounts to is an overall experience that "doesn't feel quite as smooth when running at 4K," according to the site. For the most part, the PS4 Pro version of the Special Edition maintains the 30 FPS target, but Digital Foundry says it's too bad because the PS4 Pro helps the game look better in other areas. Also in the analysis, Digital Foundry said it found that Skyrim Special Edition for PS4 Pro doesn't do much else in terms of visual enhancements beyond the improved resolution. Things like shadow quality and general effects are "identical" to the standard PS4, though foliage draw distance is improved. For people playing Skyrim Special Edition on a PS4 Pro with a 1080p TV, the game uses a "super-sampled" image where it's rendered at 4K and then downsampled to 1080p. Have you noticed any issues when playing Skyrim Remastered on the PS4? If so, let us know in the comments below!